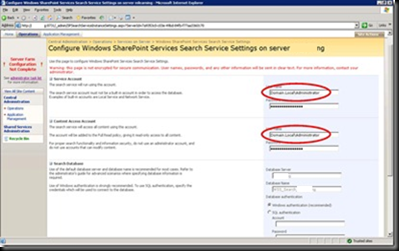 After installing the SharePoint Server when you try to start the search service you might end up with the following error. If this comes don’t panic, what you need to do is when providing the username provide it with the full domain name. For example Domain.Local\Administrator. You can find the Microsoft knowledge base article here. Highly awaited Windows Mobile 7 is at last showing in horizon. Have a glance at it by visiting the following URL. Microsoft is planning to release phones with Windows Mobile 7 at the end of 2010. I found a really good video which explains how data is travelled in the network. This explains in simple words with animation about the tasks done by the following main components and more. If anyone is interested in networking I highly recommend you to watch this. Recently I came up across a blog which provides valuable information on the connections we can make in a BlackBerry application. If you are interested read more at the following URL.